Chris Cox of Bikers for Trump had a lawyer submit a letter containing evidence of ballot tampering in Broward County to Florida Attorney General Pam Bondi. Cox exclusively told The Gateway Pundit that if they do not receive a satisfactory response in a reasonable amount of time he is willing to file a lawsuit. 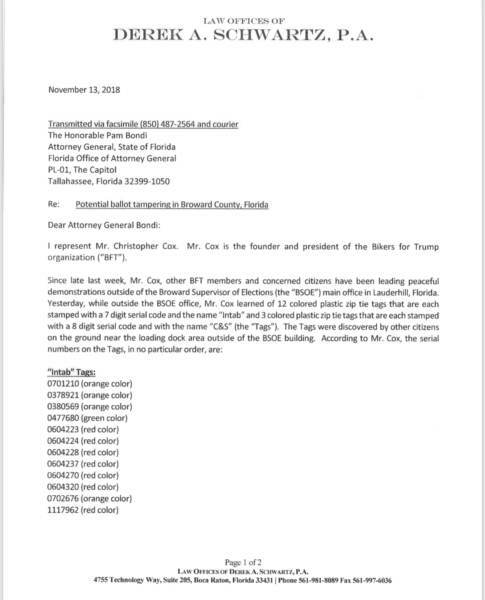 According to the letter sent by Cox’s lawyer Derek A. Schwartz, while outside the Broward Supervisor of Elections main office, Cox and other members of Bikers for Trump learned of twelve colored plastic zip tie tags that were each stamped with a seven digit serial code. “The tags were discovered by other citizens on the ground near the loading dock area outside the BSOE building,” the letter explains. He then went on to provide the serial numbers and the color of the tags. 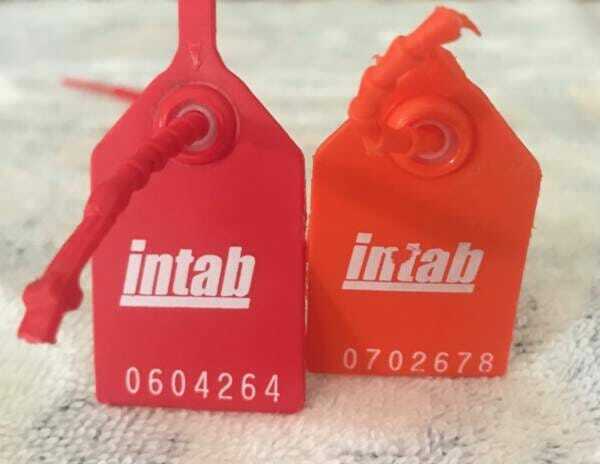 “It is my client’s understanding and belief that these tags may have been used by the BSOE to secure and seal ballot boxes and/or bags on the night of the election prior to transporting the ballots to the BSOE office. 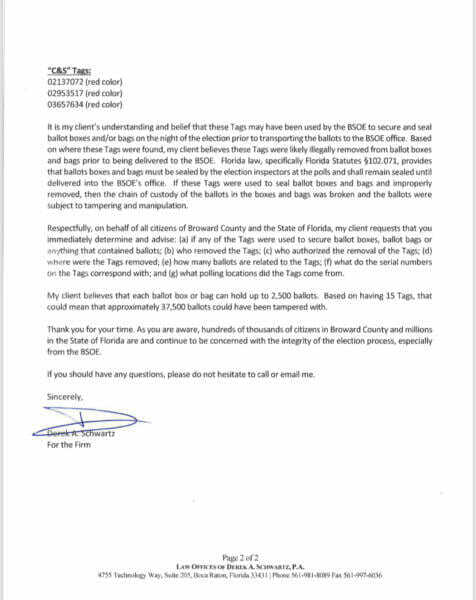 Based on where these tags were found, my client believes these tags were likely illegally removed from the ballot boxes and bags prior to being delivered to the BSOE’s office,” the letter continues. It goes on to request that Bondi’s office immediately determine if any of the tags were used to secure ballot containers, that they find out who removed them, as well as who authorized the removal. The letter additionally requests information about how many ballots were related to the tags, what the serial numbers correspond with and which polling locations they came from. “My client believes that each ballot box or bag can hold up to 2,500 ballots. Based on having 15 tags, that could mean that approximately 37,500 ballots have been tampered with,” the letter states. Cox told The Gateway Pundit that they are attempting to go through the proper channels to get answers and hopes not to have to resort to a lawsuit. The post Exclusive: Conservative Group ‘Bikers for Trump’ Submits Evidence of Broward County Ballot Tampering to Florida AG Pam Bondi appeared first on The Gateway Pundit.